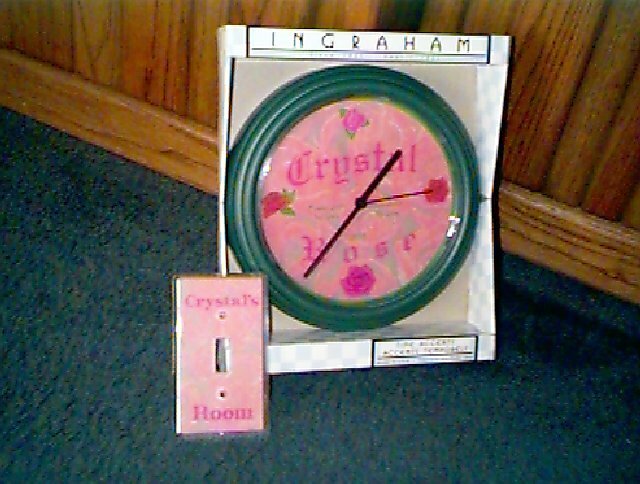 This is a clock and switch plate I made for our Granddaughter's birthday. The background is all roses. Her name is Crystal Rose.